Wilmington Island historic homeowners can get their historic properties restored by American Craftsman Renovations. Historic restorations often require foundation securement to ensure the safety and stability of your home. Let us help enhance your property while bringing it up to code and creating an enjoyable living space for you and your family. 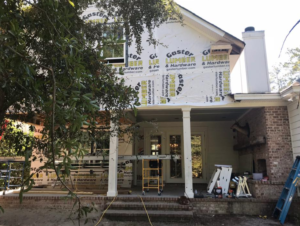 Working with a locally owned, family operated general contracting firm for your historic restorations on Wilmington Island can help ensure your property is restored the right way the first time. We live here and work here so we are extremely familiar with Savannah’s historic properties and structures. Don’t let an out of state contracting firm try and tell you they are familiar with your property’s needs.